Rob Wantenaar, known as “Wobs” to many, lost his long battle with cancer in October 2014. Stoical to the end, as was so typical of the man, he never complained and just got on with life in his own gruff way making the best of things, especially for his family and friends. We were close friends for 60 years, right up to the very end. He was a wonderful man, loved and admired by many. Wobs and I first went to Falcon from the Copperbelt in 1957. He was in Oates and excelled in athletics, water polo and, in particular, rugby. Although quiet yet strong, he was a natural leader and rose to captain of the 1st XV, College Prefect and Head of Oates in 1962. He loved Falcon, its ethos, the bush setting and the sound yet robust education it gave him. So much so that many of his close friends from Falcon remained so half a century after leaving. A manifestation of this was that he was a founder of the “Peregrinators” a group of FOBs of similar vintage who for the last 17 years have set off 14 times in our two Land Rovers into the roads less travelled to experience the rough and tumble of unrestrained latter day male bonding into the wilds or less inhabited hinterland, while our wives probably heaved a collective sigh of relief. Peregrinators have over the years included Wobs, myself, Spout Thirkettle, Malcolm “Haggis” Ross, Rob Windsor, Alan Hendrie (representing his older brother John), John Hanger, Gil Cottrell, Pip Longden, staff representative and moderating influence Peter Steyn and honorary Pereginator Rod Whyte from Northlea who provided competition for inter school sports events. After Falcon, Wobs was awarded an Anglo American scholarship to study mining engineering but changed the scale to mine teeth instead, becoming a dentist, which provided him with the means and mobility to marry, have children, move from Southern Africa to the UK and back to Africa again several times. It also allowed him to indulge his passion for cars from Minis to Aston Martins and many exotics in between, but we will remember him best for his Land Rover affinity; he was your quintessential Land Rover man. 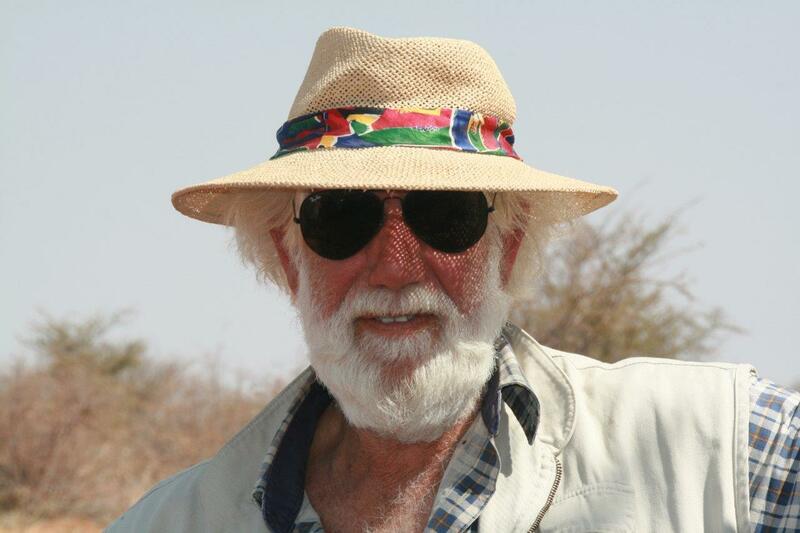 Apart from his African expeditions, Wobs once drove his Landy through the untamed centre of Afghanistan. After his first marriage broke up amicably in England he was lucky enough to meet the beautiful and accomplished Veronica, of Irish descent, who went on to become the love of his life. Son Liam was followed by Patrick, and Rob, living in England but conscious of his African roots and thinking there were already enough Irish names in the family, named their daughter Kariba, an evocative and beautiful name for an enchanting person. But Rob was a child of Africa and he returned, bringing his new expanded family with him settling in Cape Town. Wobs has never been keen on ceremony, especially if he was the focal point, and went to some lengths to avoid the limelight. He was not given to outpourings of emotion and his taciturn image may even lead some to see him as a grumpy old guy who said little, but behind Rob’s sometimes gruff visage lay a man of substance with a heart of gold, as those who really knew him will readily attest. He was sensitive, considerate, kind, thoughtful, generous, trustworthy, decent, respectful, proud, courageous and resourceful. He was also strong-willed and could be stubborn. Rob loved his family and took a great interest in his children’s education and progress, having a remarkably detailed knowledge of their activities and studies. His love and respect for Veronica was very apparent and they made a wonderful symbiotic team. While Rob has endured the hardship of the last few years with admirable stoicism, Veronica has been his rock and support, ever cheerful and optimistic, quite exceptionally so, even in the recent most difficult of times. Our hearts and sympathies go out to Veronica, Liam, Patrick and Kariba at the loss of this remarkable man. He was a credit to Falcon, his family and to Africa. If there was any man I would like at my side when the chips are down it was Robert Patrick Wantenaar. I will miss him so very much.